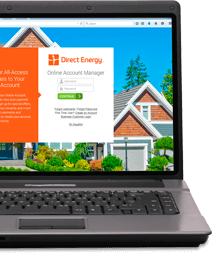 Home > FAQs > Global > Billing > Billing Information > Will my bill look different if I choose Direct Energy? Yes. In Texas, each Retail Electric Provider (REP) is responsible for the billing for all its customers. So any time you switch to a different REP for your Texas electricity service, your bill could look different. It might retain the same basic information explaining your rate and usage (as directed and approved by the Public Utility Commission of Texas), but each company creates its own bill.